A vintage estate jewelry piece: Contemporary 14K white gold “halo” pendant approx. 10.2mm diameter, set with 25 full cut diamonds ETW 0.25ct. 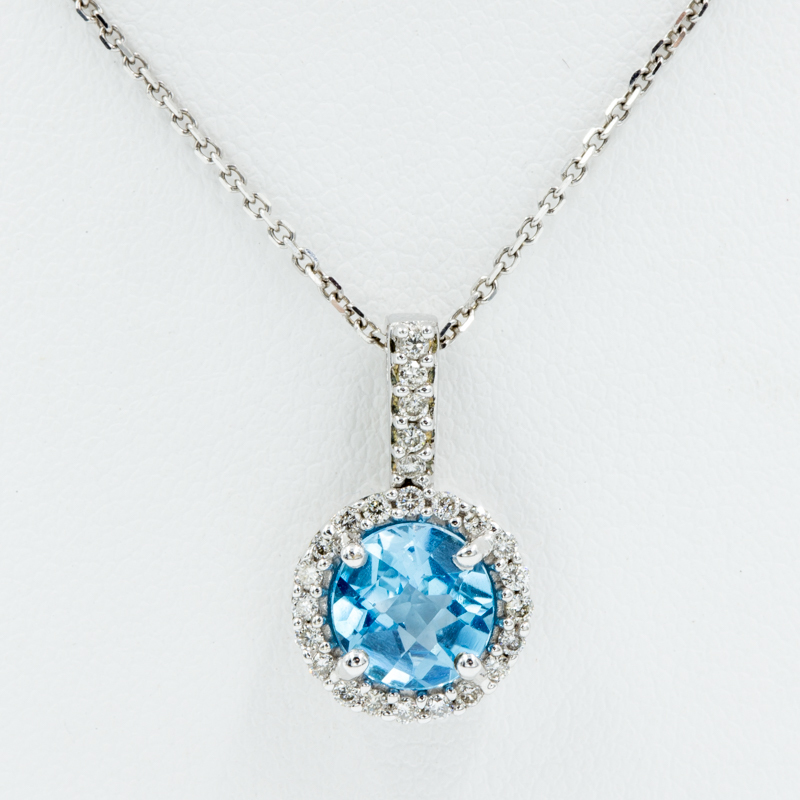 Center set ‘sky blue’ topaz is 7mm round, checker-cut. 14KW cable chain is 17 inches. Price includes pendant, chain, and shipping.